You are probably asking yourself what QR codes are and why they have become so popular with many people talking about them. QR codes are two dimensional matrixes that are used to save different types of information about companies, brands and businesses. QR codes can be used on different platforms. They are mostly used by business owners as a form of marketing. Back in the 1990s when these QR codes were invented, they were being used to track car spare parts in Japan. However, today, people have found more than one way that they can use QR codes. QR codes can be used on billboards, t-shirts, coffee mugs etc. One of the places that QR codes are mostly used is on business cards. Using QR code marketing makes it easy for clients to connect with the business that you are doing, since QR codes are a good way of doing business marketing. Why is this so? Since most people today are using smartphones for communication, they can also use their smartphones to scan QR codes. This ensures that your business is available to customers whenever and wherever they go, provided they are using their smartphones. Including your QR code on your business card introduces a way that is ideal for communication with your target market. There are two main ways that you can use to make a QR code business card. 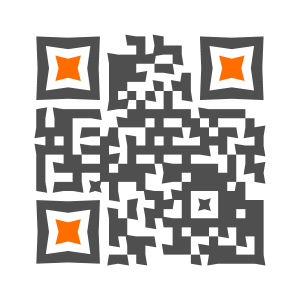 One of the ways is by adding the information that you would want to be on a business card directly on the QR code. This information includes a web address or a link to your business website. From this business website, the guest or your client will be able to get the contact information that they need and require to get to the business owner or representative. The other way involves storing contact information directly on the QR code. This means that the client will not have to follow website links or email addresses to get the contact detail that they need. Create QR code business card – Why customize QR codes on business cards? Customers had a bad mobile website experience before QR codes were used for mobile marketing. This is because most businesses had not customized their websites for use with mobile phones. However, there is more emphasis on creating mobile friendly websites with the use of QR codes. This has made website visits, video streaming and viewing pages that have relevant business information a pleasant encounter. This increases the chances of closing sales online. Learn more on how to a create QR code business card.